This short note was written by Fr Stan Swamy after the Jharkhand authorities filed a case of sedition against him for supporting the adivasi Pathalgadi movement. As for the Pathalgadi issue, I have asked the question, “Why are adivasis doing this?” I believe it is because they have been exploited and oppressed beyond tolerance. The rich minerals which are excavated in their land have enriched outsider industrialists and businessmen and impoverished the adivasi people to the extent that people have died of starvation. They have had no share in what is produced. Also, the laws and policies enacted for their well being are deliberately left unimplemented. So they have reached a situation where they realise ‘enough is enough’ and are seeking to re-invent their identity by empowering their gram sabhas through Pathalgadis. Their action is understandable. 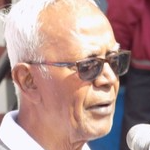 1) I have questioned the non-implementation of the 5th Schedule of the constitution, Article 244(1), which clearly stipulates that a ‘tribes advisory council’ (TAC), composed solely of members from the adivasi community, will advise the governor of the state about any and everything concerning the protection, well-being and development of the adivasi people in the state. The governor is the constitutional custodian of the adivasi people and he/she can make laws on his/her own and can annul any other law enacted by the parliament or state assembly, always keeping in mind the welfare of the adivasi people. Whereas the reality is that in none of the states, during all these nearly seven decades, has any state governor ever used his/her constitutional discretionary power to reach out to the adivasi people proffering the excuse that they have to work in harmony with the elected government of the state. The meeting of the TAC takes place rarely, and it is convened by and presided over by the chief minister of the state and is controlled by the ruling party. TAC has thus been reduced to a toothless body. Verily a constitutional fraud meted out to the Adivasi people. 2) I have questioned why the Panchayats (Extension to Scheduled Areas) Act, 1996, has been neatly ignored which for the first time recognised the fact the adivasi communities in India have a rich social and cultural tradition of self-governance through the gram sabha. Whereas the reality is this Act has deliberately been left unimplemented in all nine states. It means the capitalist ruling class does not want adivasi people to self govern. 3) I have questioned the silence of the government on Samatha Judgment, 1997, of the Supreme Court which came as a huge relief to the adivasi communities in Scheduled Areas. It came at a time when consequent to the policy of globalisation, liberalisation, marketisation, privatisation, national and international corporate houses started to invade adivasi areas in central India to mine the mineral riches. The government machinery gave its full cooperation to these companies. Any resistance by the adivasi people was put down with an iron hand. The judgment was meant to provide some significant safeguards for adivasis to control the excavation of minerals in their lands and to help develop themselves economically. In reality, the state has ignored this verdict of the highest court. 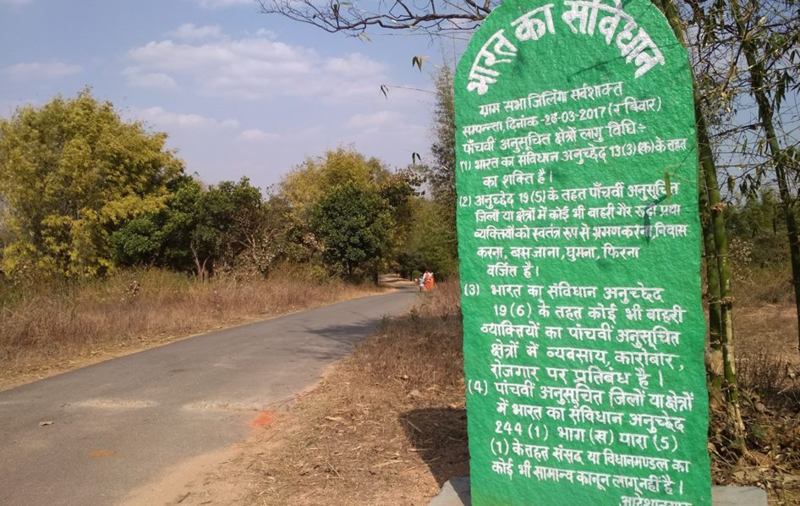 Several cases have been filed by affected communities, but the ‘law of eminent domain’ of the colonial rulers are invoked to alienate adivasi land and to loot the rich mineral resources. 4) I have questioned the half-hearted action of government on the Forest Rights Act, 2006. “Jal, jungle, jameen”, as we know, are the basis of the economic life of the adivasi people. Their traditional rights in the forest have been infringed upon systematically over the decades. At long last, the government realised that a historic injustice has been done to the adivasis and other traditional forest-dwellers. To correct this anomaly, it enacted this Act. The reality is far from desirable. From 2006 to 2011, about 30 lakh applications were made all over the country for title deeds. Of these, 11 lakh applications were approved but 14 lakh were rejected and five lakh were left pending. Of late, the Jharkhand government is trying to bypass the gram sabha in the process of acquiring forest land for setting up industry. The rich minerals in their lands are being looted by the government and private companies. The Supreme Court has declared 214 out of the 219 coal blocks in the country illegal and ordered their closure and levied a fine on them for their illegal mining. But the Central and state governments have found a way out by re-allotting these illegal mines through auction to make it look legal. 6) I have questioned the reasons why the SC observation is being ignored that “mere membership of a banned organisation will not make a person a criminal unless he resorts to violence or incites people to violence or creates public disorder by violence or incitement to violence”. The court rejected the doctrine of ‘guilt by association’. It is common knowledge that many young men and women are held in prison on the suspicion of being “helpers of Naxalites”. After arresting them, other penal clauses are added on. It is an easy label that can be put on any one whom the police wants to catch. It does not require any proof or witness. The Supreme Court says even membership in a banned organisation does not make a person a criminal. How far removed are the law and order forces from the judiciary? During ‘Momentum Jharkhand’ in February 2017, the government announced that 21 lakh acres in the land bank, of which 10 lakh acres is ready for allotment to industrialists. People are in the dark that their land is being written off. The TAC has not given its approval as is required by the Fifth Schedule. The respective gram sabhas have not given their consent as required by the PESA Act. 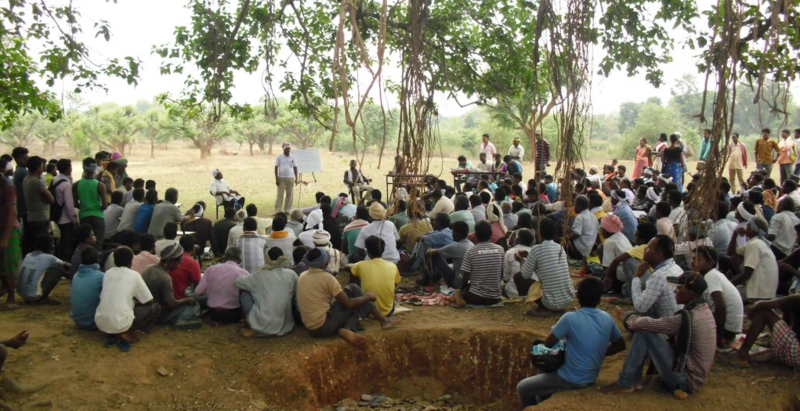 Affected adivasi people have not given their consent as required by Land Acquisition Act. These are the questions that I have consistently raised. If this makes me a ‘deshdrohi’ then so be it !